The United States Bureau of Labor Statistics predicts these 10 careers, which require only a high school or equivalency diploma, will grow faster, through 2024, than all other occupations that have similar requirements. Most workers in these occupations receive on-the-job training only, but some must do apprenticeships or take classes at a trade school or community college. Beware of choosing an occupation merely because it is on a best careers list like this one. While it is important to pick a career with a promising future, you must also make sure it is one that is suitable for you. Thoroughly explore your career options by first reading job descriptions and then conducting informational interviews with people who work in those occupations in which you are most interested. The median wages are shown here to give you an idea of what you might earn if you worked in these fields. Earnings vary by employer and depend on factors including level of experience and training, and location. Physical therapy aides prepare treatment rooms, transport patients to therapy sessions, and sometimes perform clerical duties. The U.S. Bureau of Labor Statistics (BLS) predicts employment will increase by 39% through 2024. 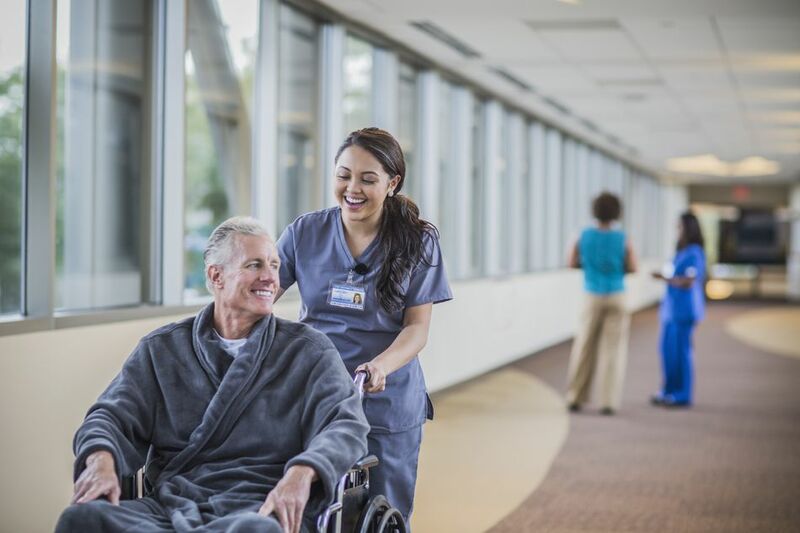 PT Aides, as they are often called, earned a median annual salary of $25,120 in 2015. Employers provide on-the-job training. Ambulance drivers and attendants transport sick or injured people to hospitals. Unlike EMTs and paramedics, they do not administer treatment. Employment is expected to increase by 33% through 2024. Median annual earnings, in 2015, were $23,740. They receive on-the-job training. Occupational therapy aides prepare treatment areas and may also perform clerical duties. OT aides, as they are commonly called, may see a 31% increase in employment through 2024. They earned a median annual salary of $27,800 in 2015. Employers train workers on-the-job. Hearing aid specialists administer and interpret hearing tests, help patients select hearing aids and fit them to their ears. The BLS predicts employment will grow by 27% through 2024. Median annual earnings were $49,600 in 2015. Hearing aid specialists may get training through a formal academic program or from their employers. Many states require a license or certification. Solar panel installers are formally called solar photovoltaic installers. They install and maintain solar panels on roofs. The BLS predicts a 24% increase in employment through 2024. In 2015, median annual earnings were $37,830. Some employers provide on-the-job training, but others will only hire workers who have done an apprenticeship or taken courses at a trade school or community college. Opticians fit customers' glasses and contact lenses according to optometrists and ophthalmologists' prescriptions. Employment is predicted to grow by 24% through 2024. They earned a median annual salary of $34,840 in 2015. Employers provide on-the-job training. Reinforcing iron and rebar workers reinforce the concrete found in many building projects with wire mesh, steel bars (rebar) and cables. Employment of these skilled tradespeople is expected to grow by 23% through 2024. They earned a median annual salary of $48,010 in 2015. Bicycle mechanics fix and maintain bicycles. Employment of bike mechanics is expected to increase by 22% through 2024. In 2015, they earned a median annual salary of $27,470. They learn their skills on-the-job. Medical secretaries tend to clerical tasks in medical offices, including typing, filing, billing, taking phone calls and making appointments. Employment in this field is expected to grow by 21% through 2024. They earned a median annual salary of $33,040 in 2015. Mechanical insulation workers apply insulation to pipes and mechanical systems that regulate the temperature in buildings. The BLS expects a 19% increase in employment through 2024. Median annual earnings were $43,610 in 2015. Mechanical insulation workers typically learn their trade through apprenticeships.